Hey! We are working so hard on Serious Sam 4, that we almost forgot it’s been 15 years since we first launched Serious Sam: The First Encounter! Can you believe it? Neither can we, but we are still here, Sam is still here, and most importantly, you are still here. 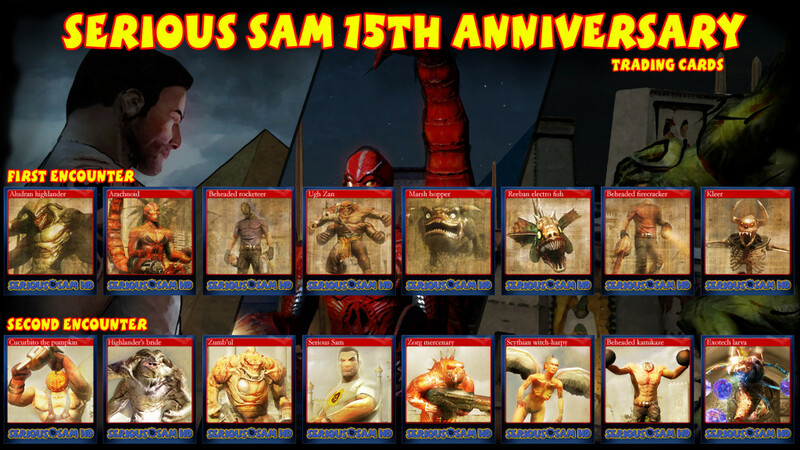 So let’s celebrate this together: in light of this anniversary which is taking place on 21st of March, we prepared trading cards for both Serious Sam HD First and Second Encounter. Now all you boys and girls can go back playing these classic games and get your shiny cards, you know you deserve them!